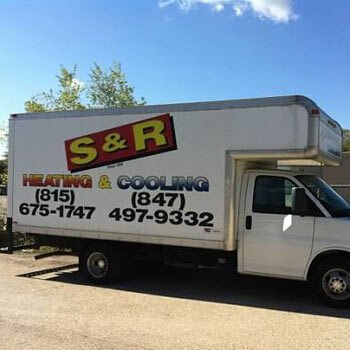 S&R Heating & Cooling, located in Spring Grove, IL, has brought comfort to the Spring Grove area by serving the heating and cooling needs of Illinois homes and businesses for years. We understand the importance of heating for your home that works properly and is energy efficient. When that system breaks down, we work hard to get things up and running again as quickly as possible. Guided by the highest standards, we are carrying on the family commitment of excellence, along with our full crew of factory-trained service, installation technicians, and friendly sales staff. We are here to answer your questions and tackle the toughest situations there are. Our experience combined with our passion for our customers ensures S&R Heating & Cooling will solve any issue and repair anything you need. Over the years, we’ve continually served our customers—and earned our reputation—by providing heating and air conditioning products and services of the highest quality, from top-of-the line brands. We appreciate the opportunity to continue serving you.